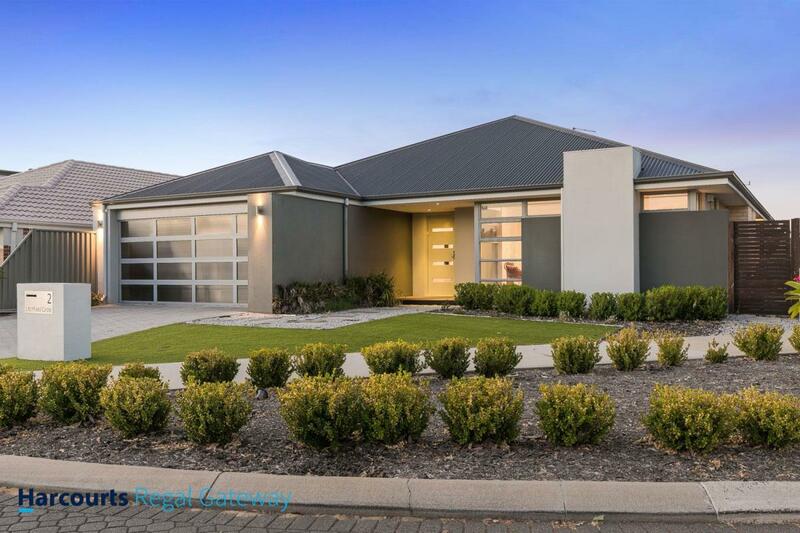 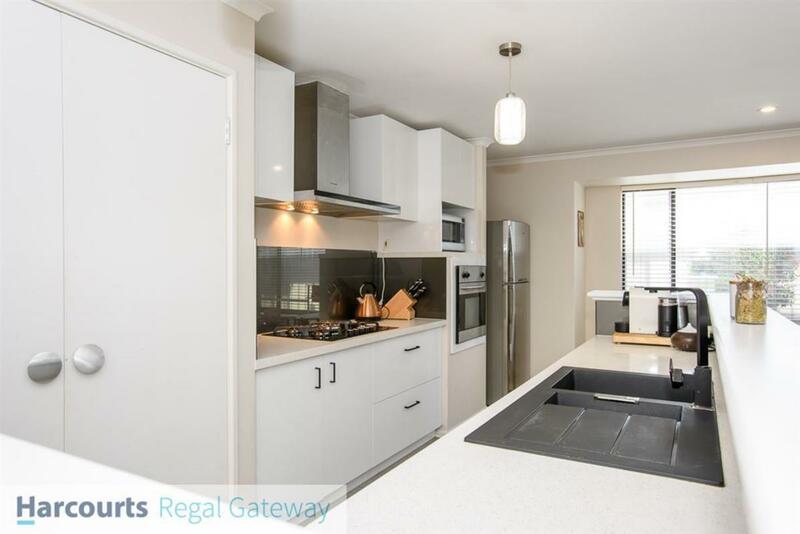 This gorgeous family home is perfectly positioned to overlook green parklands and offers the ultimate in easy care, convenient living in an executive style home with quality fixtures and fittings...not a cent to spend, just move in and enjoy. 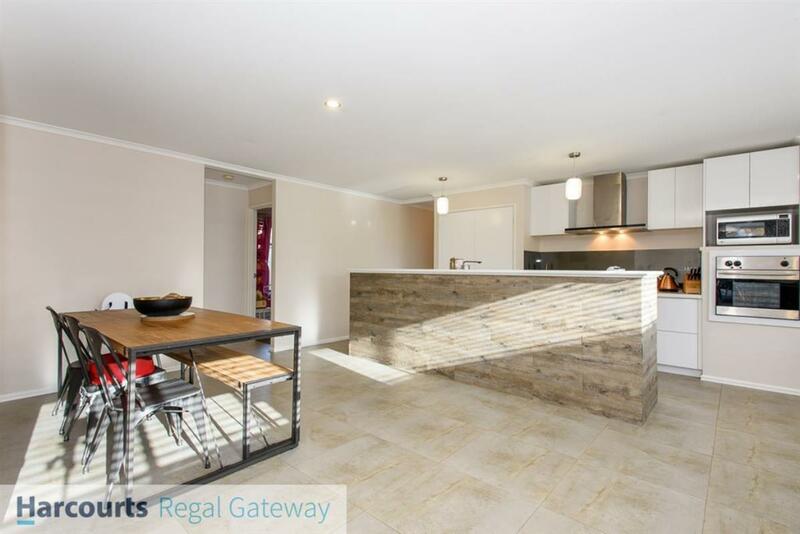 Complete with four bedrooms, two bathrooms, theatre, designer kitchen, open plan family and dining, gorgeous outdoor entertaining patio which overlooks the sparkling swimming pool and a double lock up carport; living here will be a pleasure. 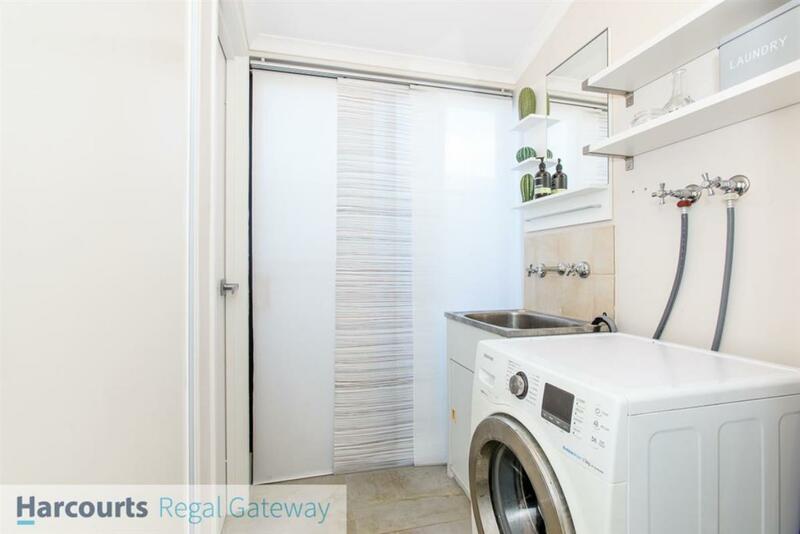 A centrally appointed kitchen is equipped with a large fridge recess, gas cook top, electric oven, range hood, dishwasher, glass splash back, microwave recess and abundant storage. 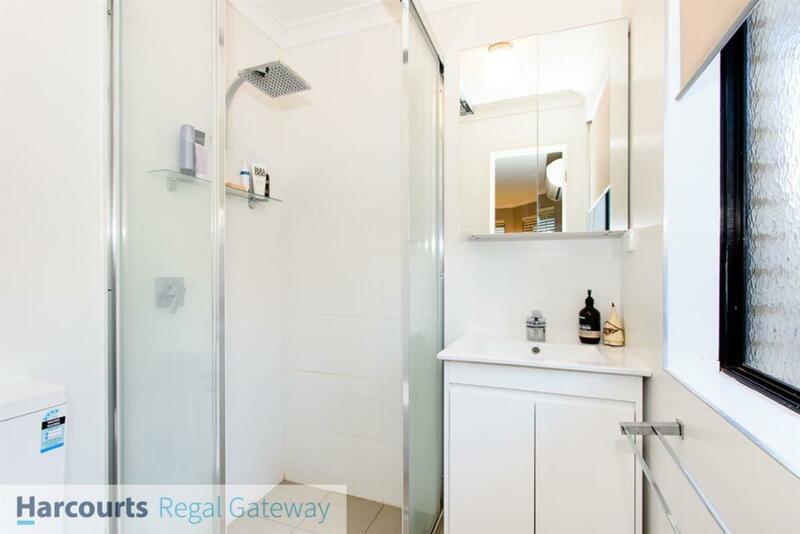 The master bedroom has a walk-in wardrobe, stylish en suite and a delightful parkland vista is at the front of the house , whilst the other three bedrooms all with built in robes are at the rear. 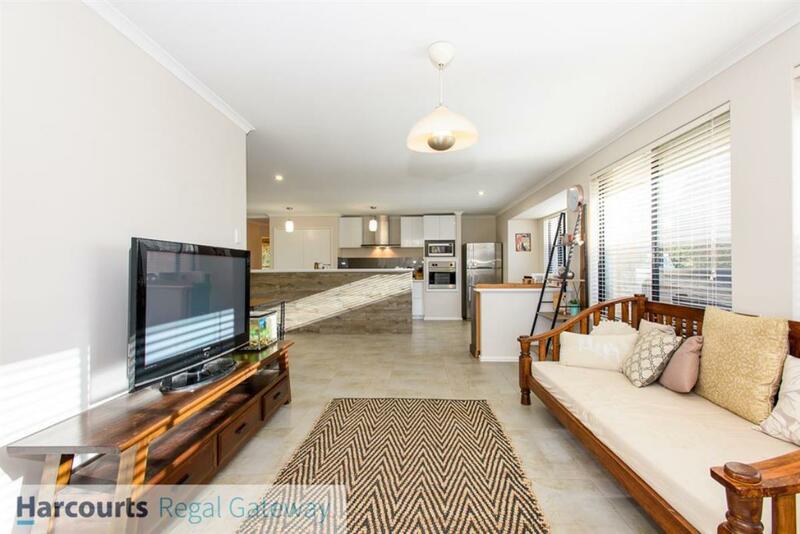 Two separate living areas - open plan family/dining and a home theatre/formal lounge room ensure that everyone's social and relaxation needs are met, with a blend of communal and individual space. 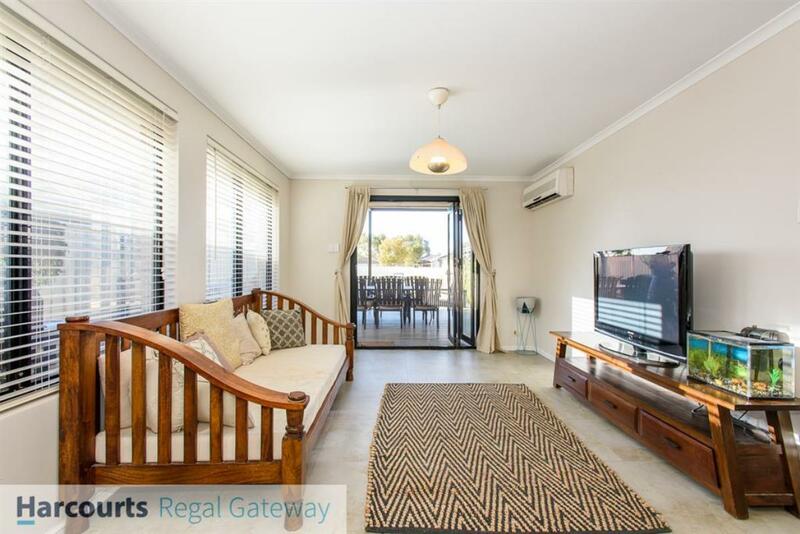 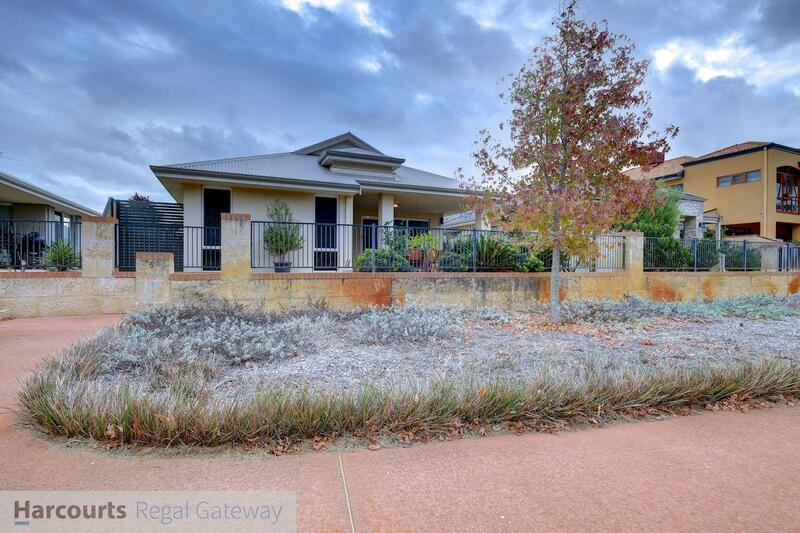 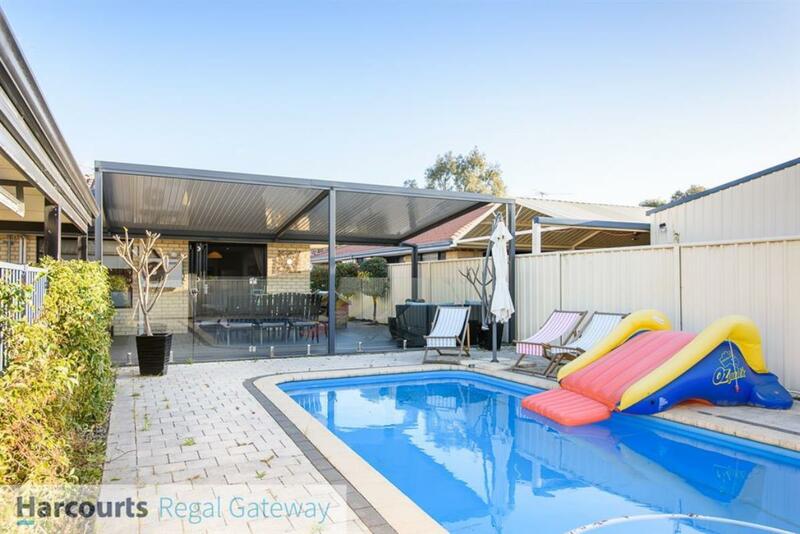 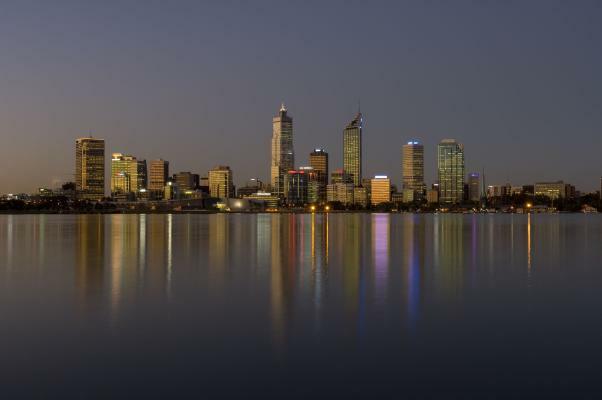 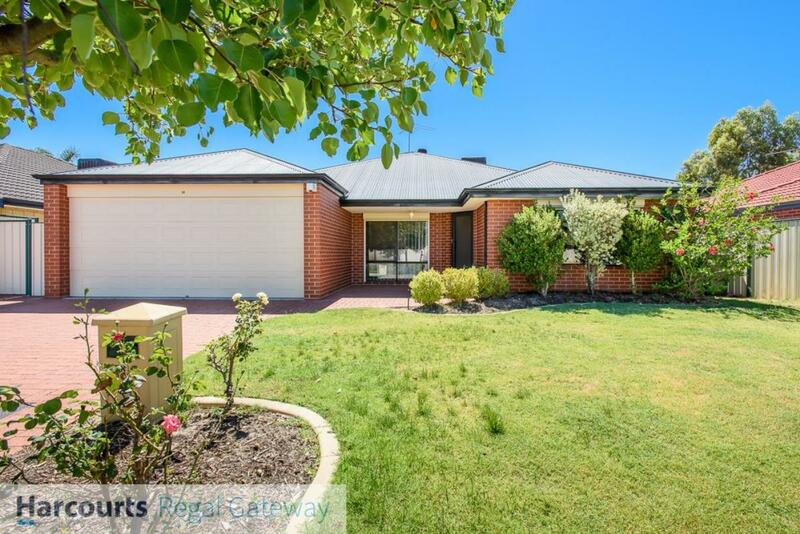 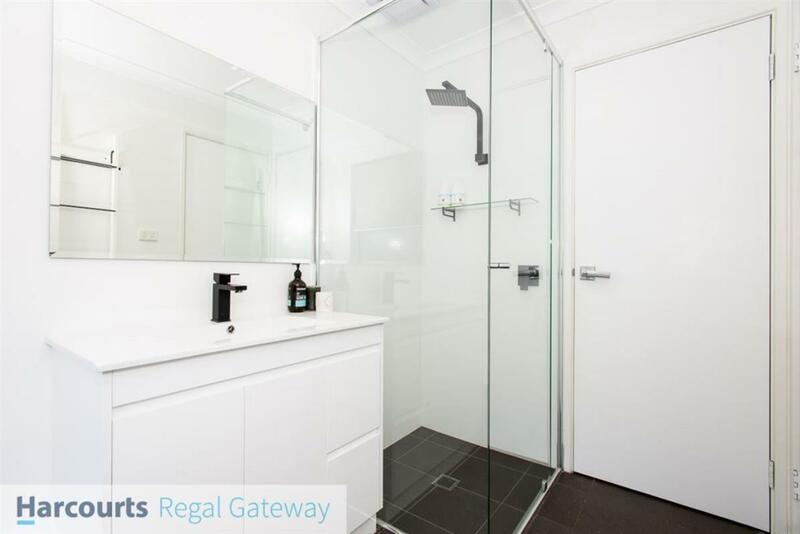 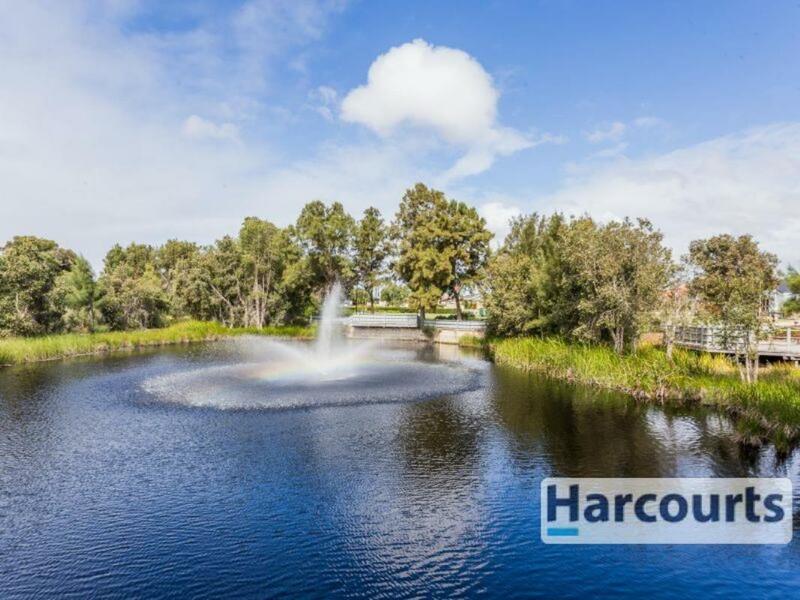 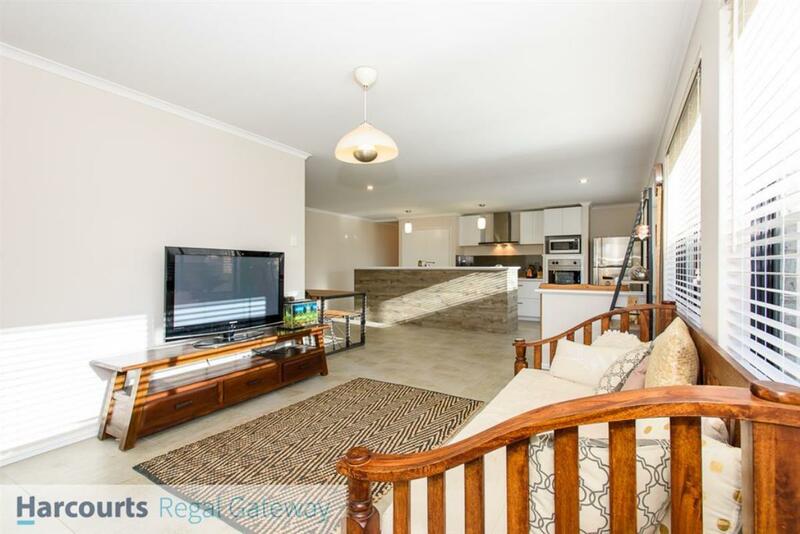 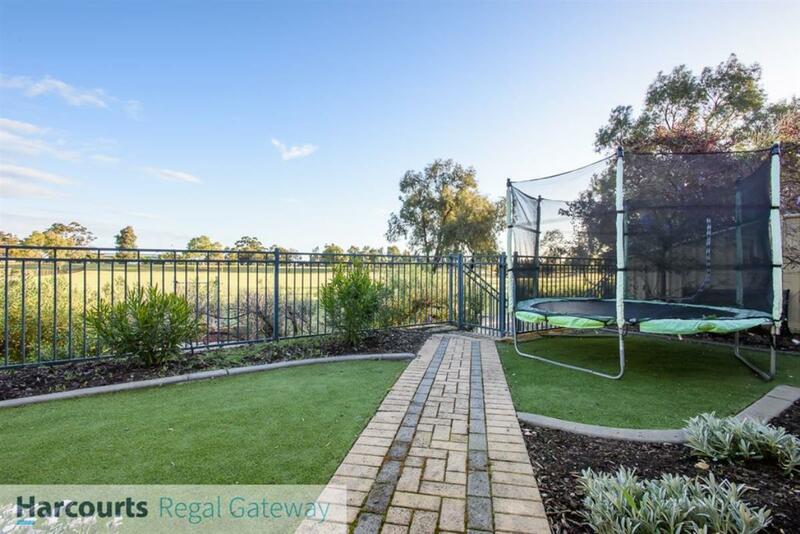 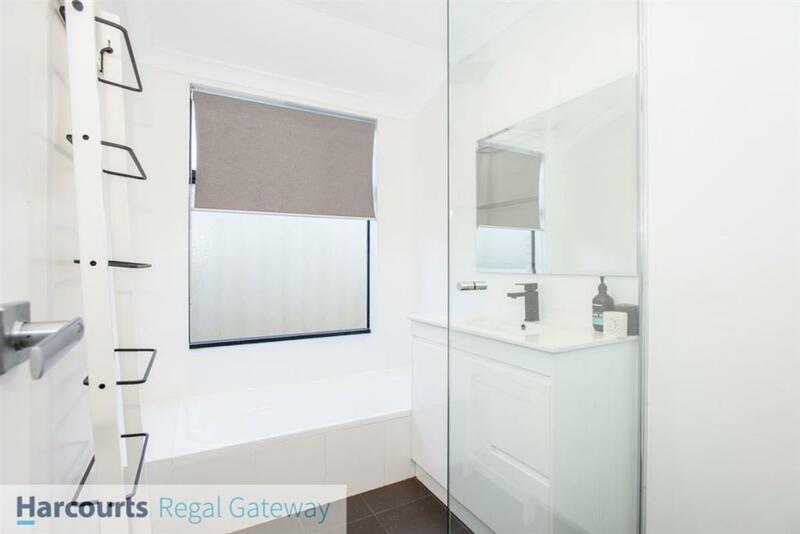 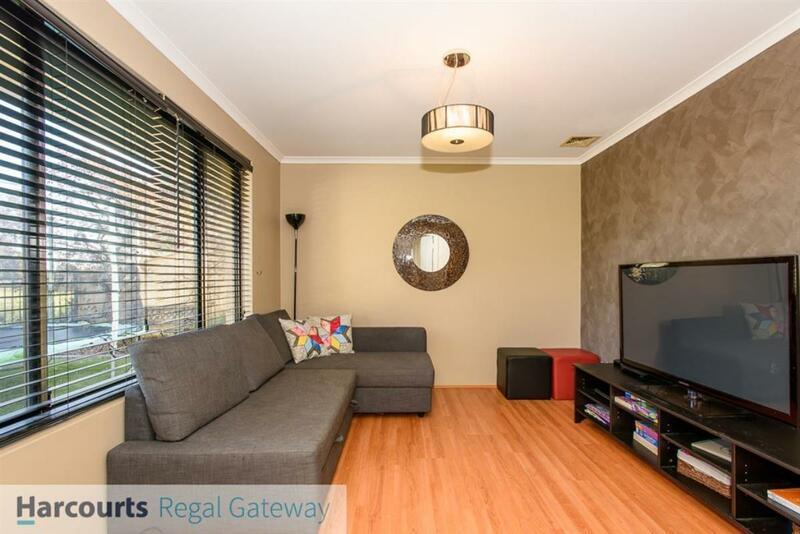 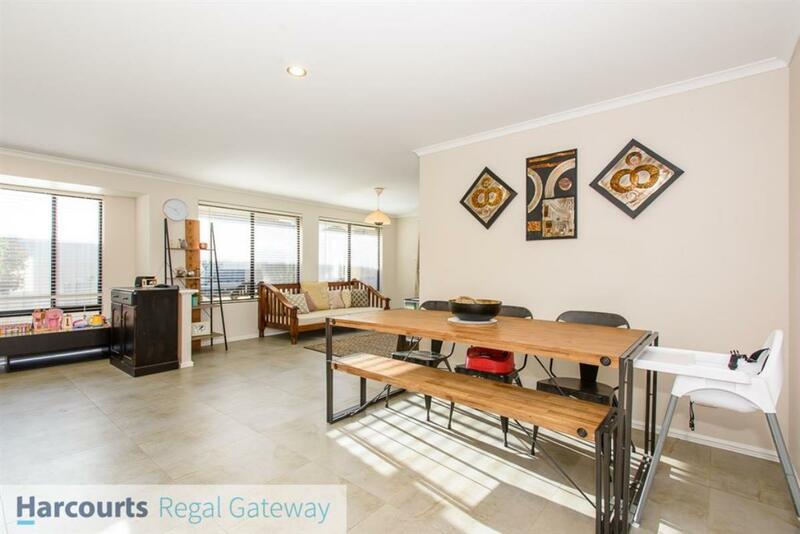 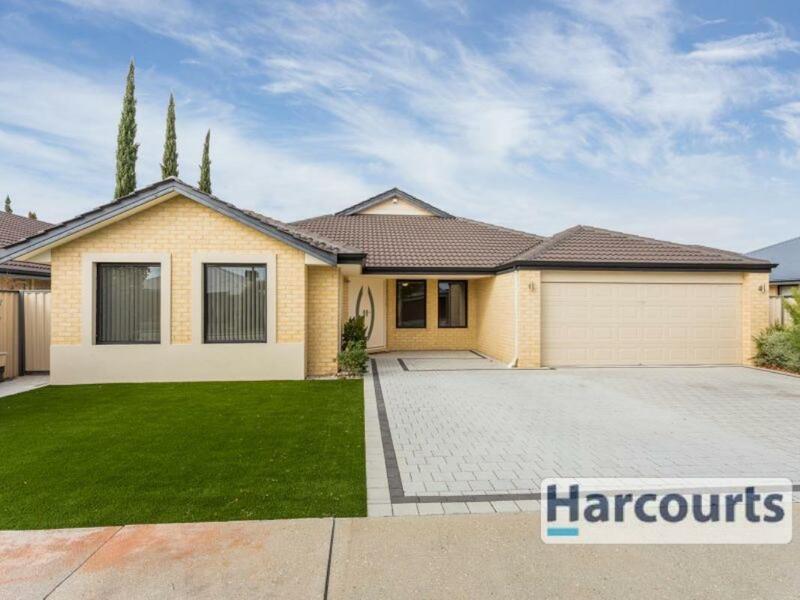 Make the most of the beautiful Perth climate as you enjoy direct gated access onto the parkland with childrens playground including swings, basketball hoop, and footy posts at the front - family BBQ's, children's birthday parties, and get togethers can all be held outdoors in the vibrant sunshine or under the stars! 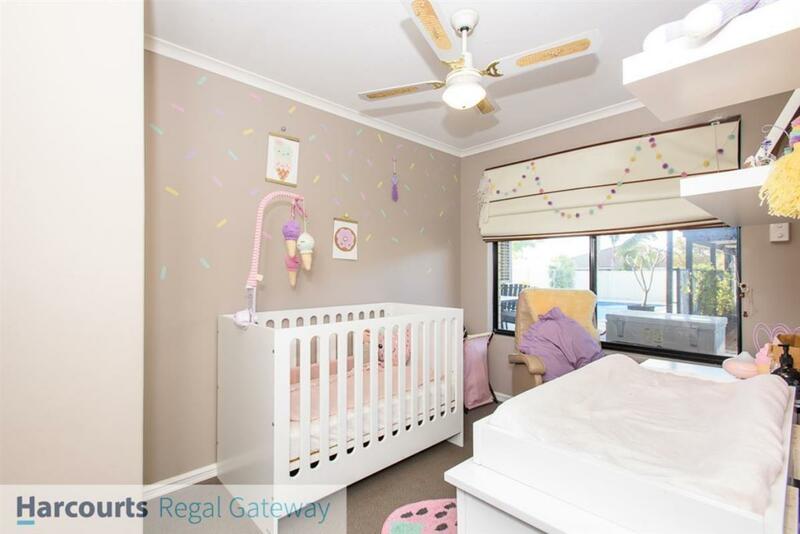 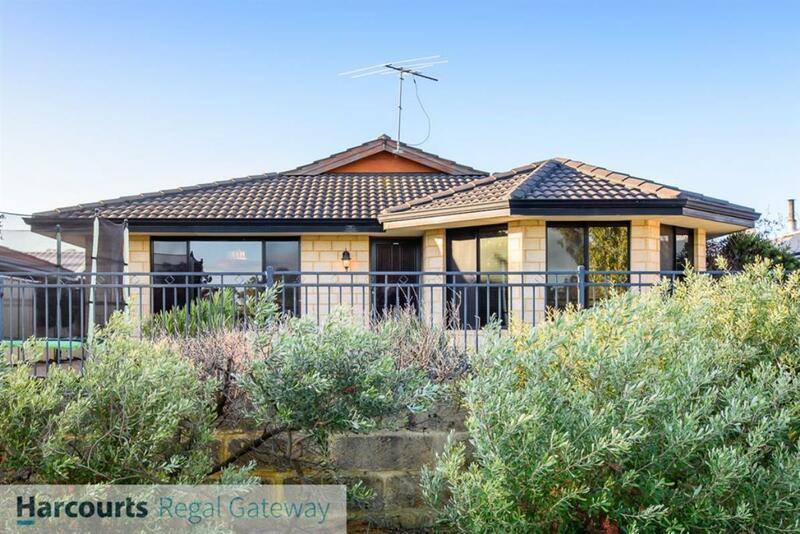 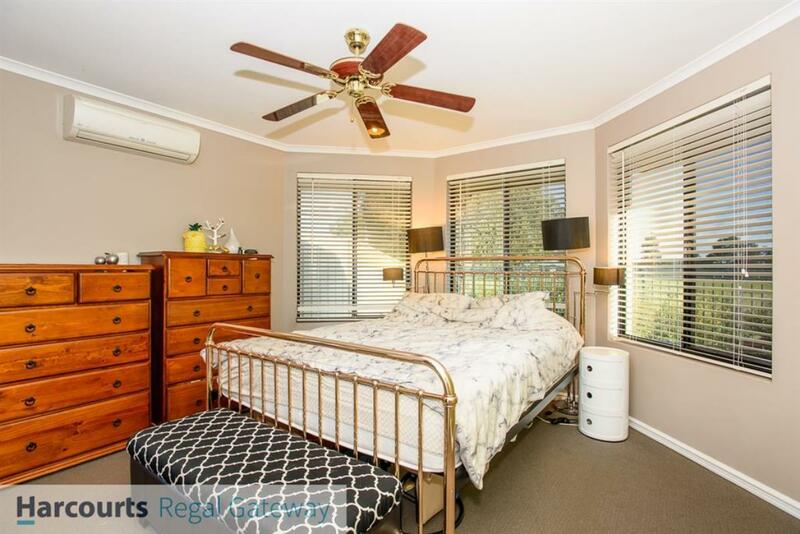 Located in a quiet street, surrounded by quality homes and close to public transport and schools; this is an attractive and practical home in a family-friendly, safe location. 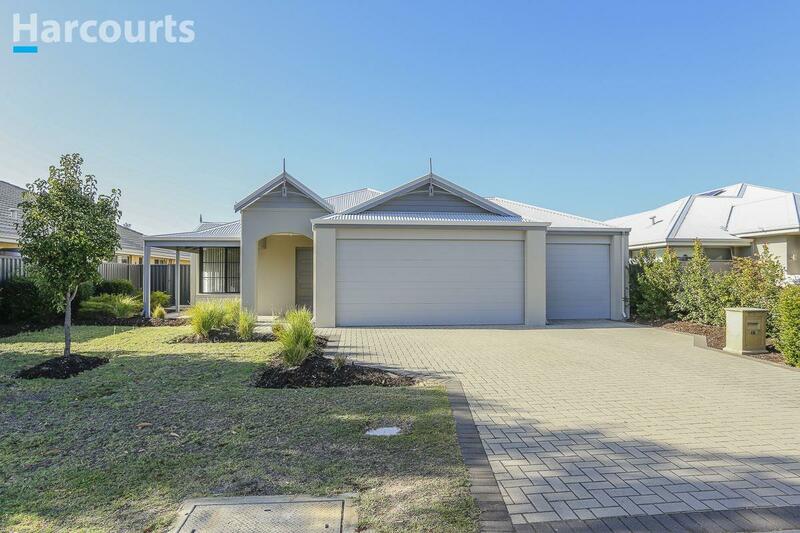 Call Samantha on 0403 434 667 for more information. 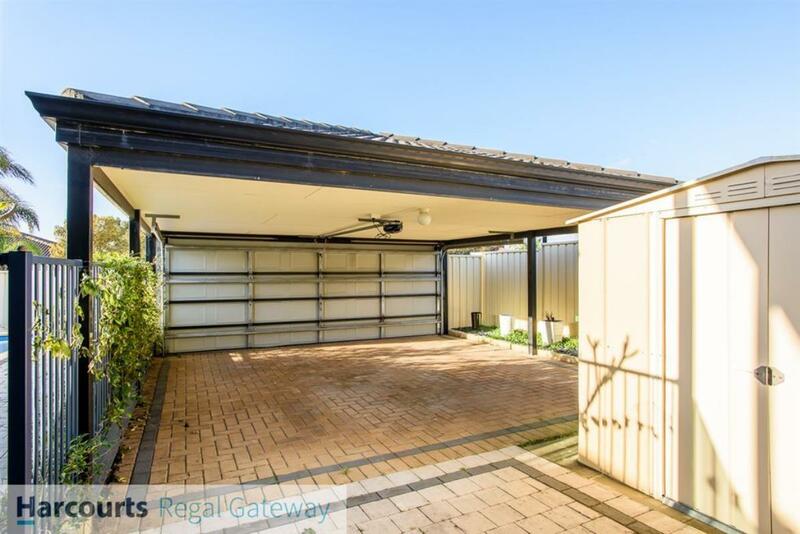 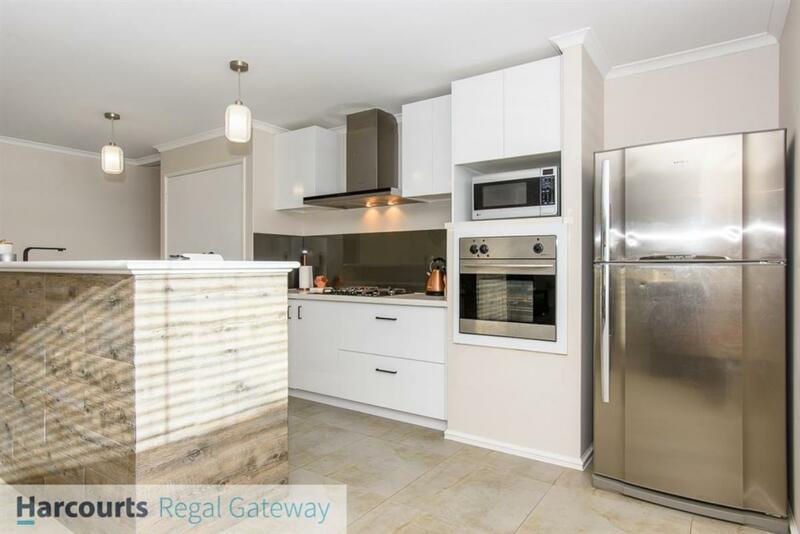 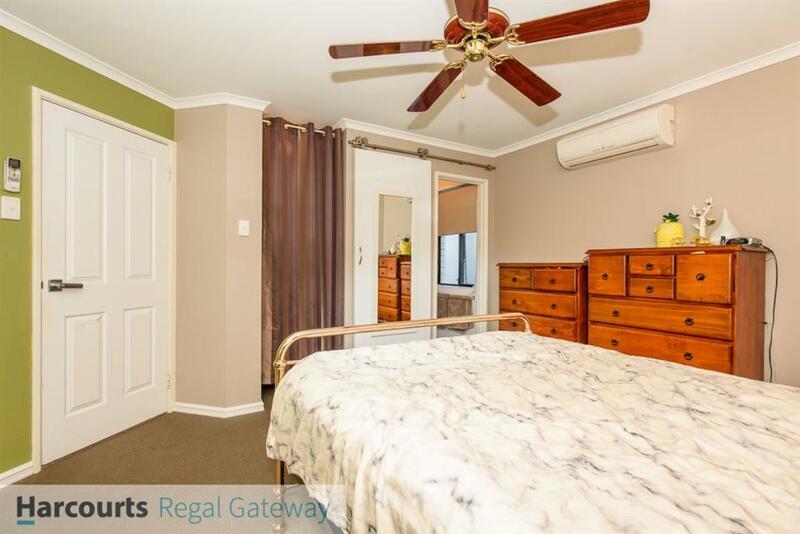 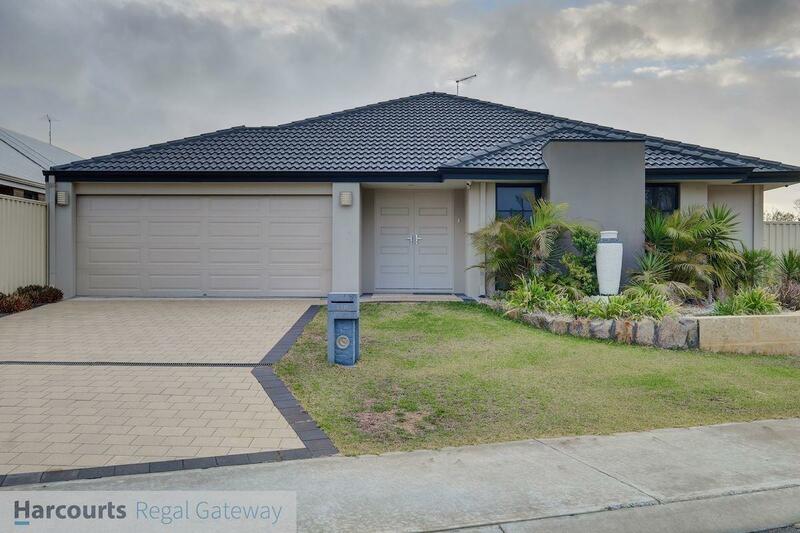 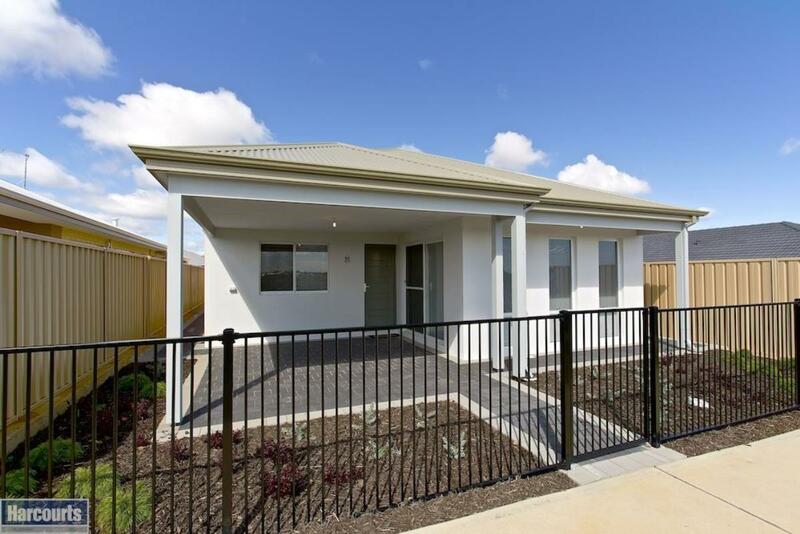 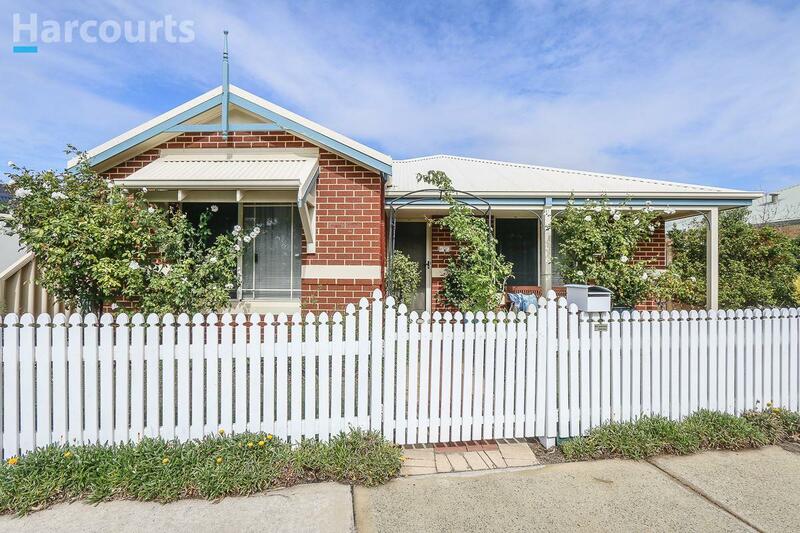 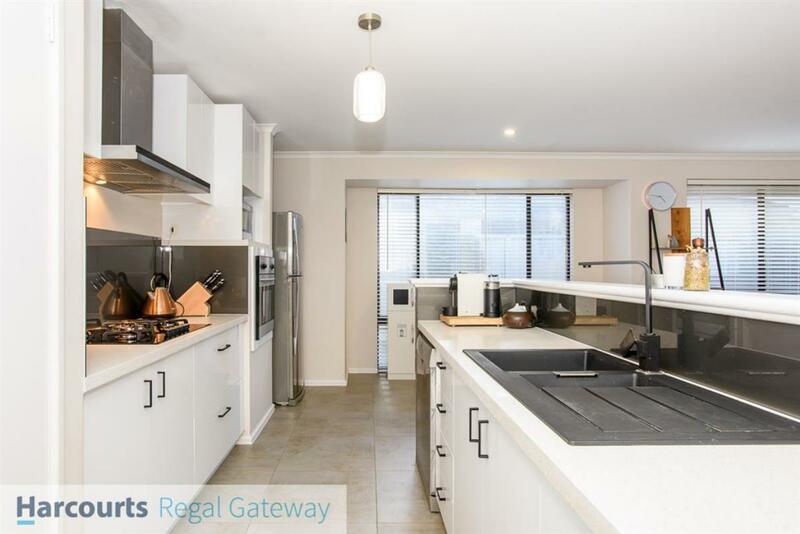 NOTE: This property is currently tenanted @ $450:00 per week till 9/11/19 *Information Disclaimer: This document has been prepared for advertising and marketing purposes only. 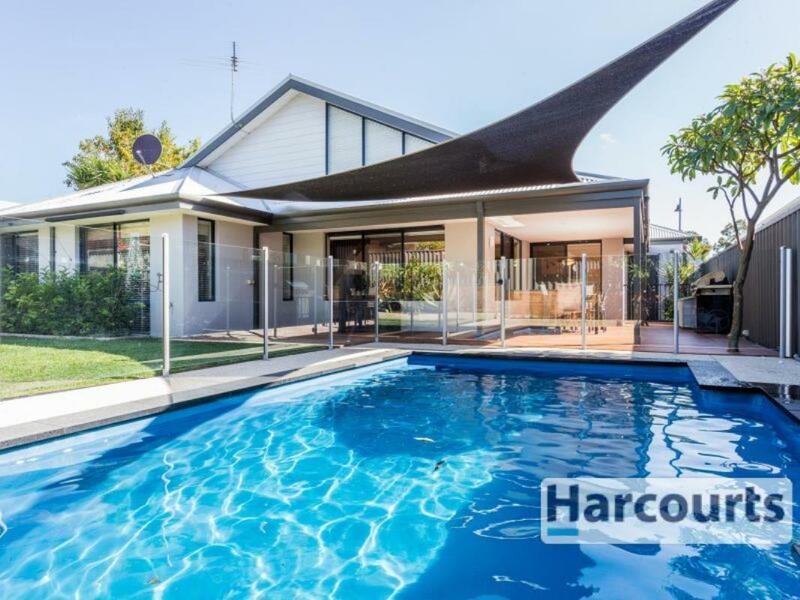 It is believed to be reliable and accurate, but clients must make their own independent enquiries and must rely on their own personal judgement about the information included in this document. 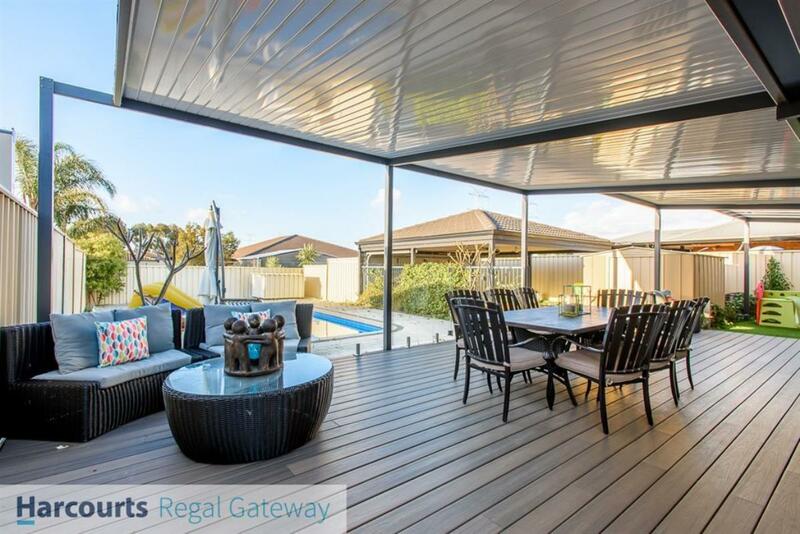 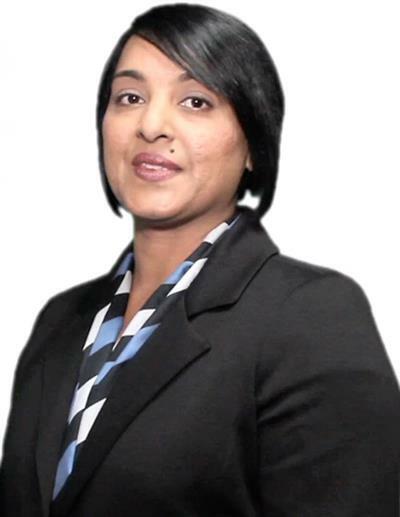 Harcourts Regal Gateway provides this document without any express or implied warranty as to its accuracy. 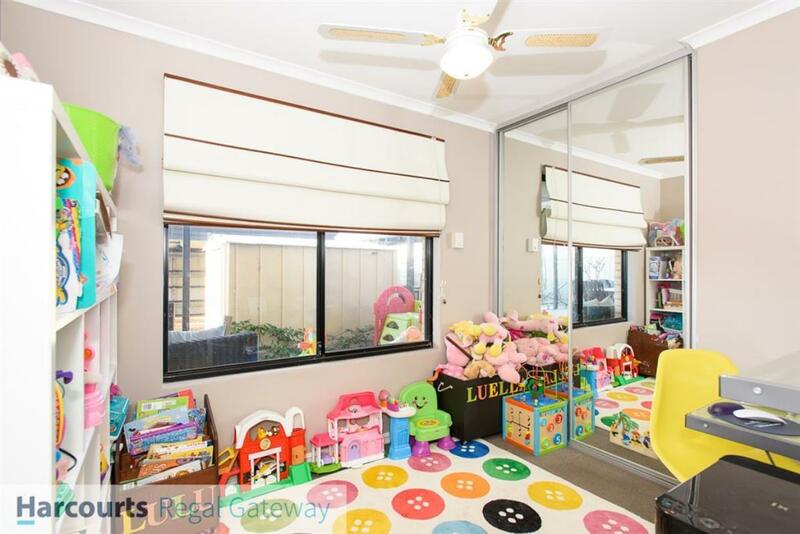 Any reliance placed upon this document is at the client's own risk. 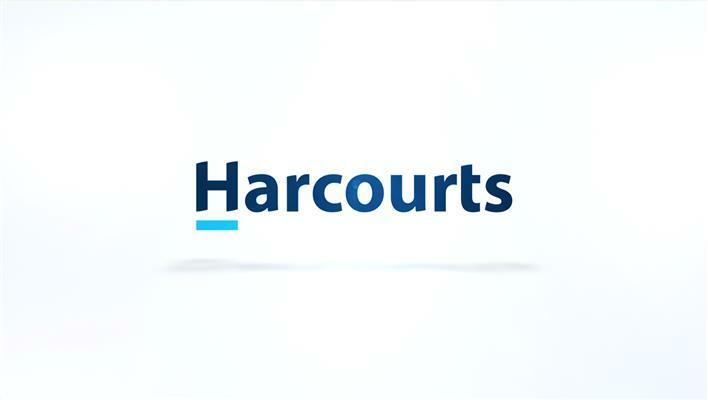 Harcourts Regal Gateway accept no responsibility for the results of any actions taken, or reliance placed upon this document by a client . 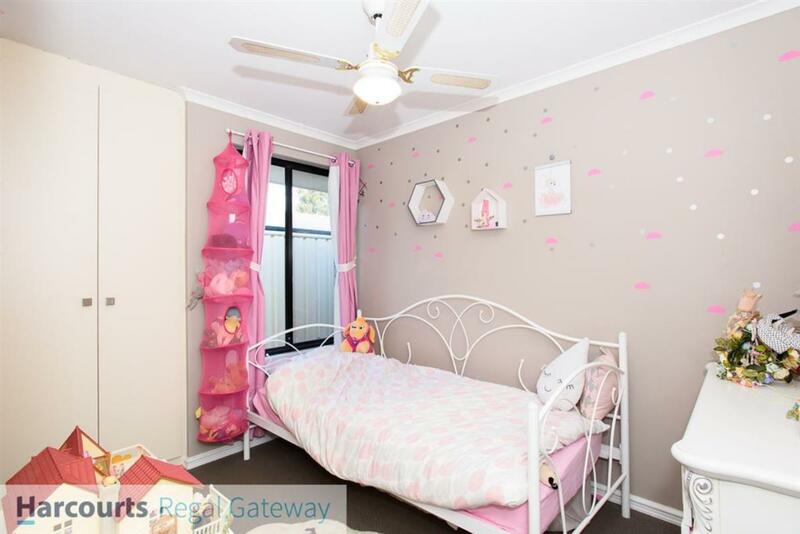 Figures and information may be subject to change without notice.